Comment. In the first part of this long quote (see the article of March 27 – Shakespeare and the Medicinal Good Effects of a Good Wine), Falstaff extols the power of wine to sharpen the wit. Today we would say that spirits contribute to the enhancement of natural, hidden or cultivated power of communication and audience empathy. In the second part of the quote Falstaff expands on the medical and psychological effects of a good drink. As a courage-enhancement drug , the matter may have had to be of interest to the Pentagon. However, currently enemies are killed as literal pawns in a video game played at a console and this specific property of one is destined to history archives. 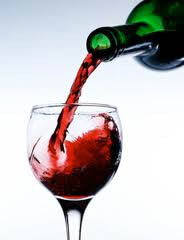 Wine does not grow in Mesopotamia and there is a reason for it. The wine god Dionysus, on learning that the Mesopotamian inhabitants drank beer, became angry and maybe said, “My heart for anger burns; I cannot brook it.” (King Henry VI, part 3) and withdrew his licence. Tips for Use. Express your disapproval of a decision that you feel destructive. In the play. This is Falstaff’s second round in praise of the benefits and effects of a good drink, Falstaff is the redoubtable youth companion of the Prince of Wales (the future Henry V). This entry was posted in After Dinner Quotes, Amusing Shakespeare, Best Shakespeare Quotes, Chances Quotes, Elegant Shakespearean Quotes, Medicine in Shakespeare, Philosophical, Psychological & Historical Considerations, Presentation Ideas, Sayings about Life, Shakespeare in Management, Shakespeare in Politics, Shakespeare on Health Care, Shakespeare on Mass Psychology and Group Behavior, Social Exchanges Shakespeare style. Bookmark the permalink.